SASCO provided the electrical design and construction services with M.A. 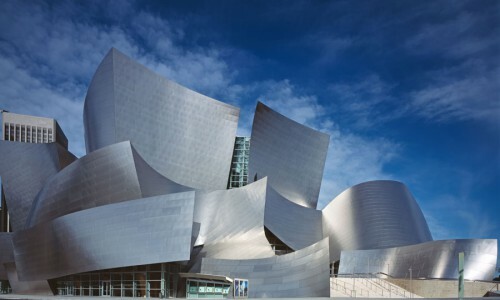 Mortenson Company for the Walt Disney Concert Hall which was designed by Frank Gehry. Using 3D Modeling, SASCO installed state of the art theatrical and sound systems. Extensive electrical work included high-end architectural lighting and dimming controls for this structure. The site features a 2,265 seating capacity Concert Hall, two outdoor concert amphitheaters and a 6-level parking structure.